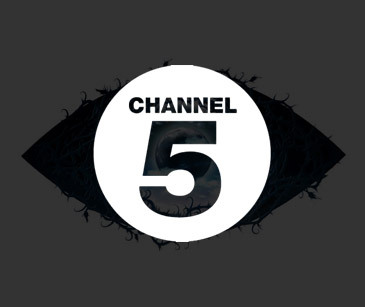 We’ve been working with Channel 5 over a number of years on the digital presence of the popular reality TV franchise – Big Brother. Our design team originated a striking look and feel for the website, smartphone/tablet apps – as well as for the dedicated Facebook app – integrating video players, news articles, promos, pop up picture galleries and, crucially, voting functionality. With each new series, including the celeb version – Celebrity Big Brother – the designs are rebranded and refreshed to reflect the new palette and the now iconic ‘eye’ logo. 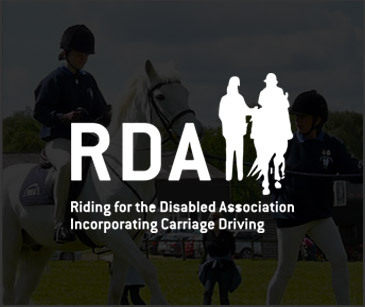 The RDA is a national charity providing equestrian therapy and social interaction to riders of all ages and varying ability across the UK. When we were asked to deliver an inclusive and accessible online experience for their members, we were delighted to take up the challenge. Redesigned from the ground up, the new fully responsive site delivers an intuitive user experience across all platforms and devices. This approach enables both RDA members and volunteers to fully benefit from the site, whilst opening it up to online donations and the power of social media. Comma Oil is a British-based manufacturer and supplier of automotive lubricants and car care products – with a global reach. 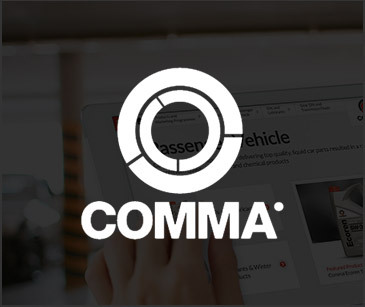 In redeveloping the Comma website, Netro42’s brief was to enhance the brand and increase engagement with all its stakeholders - motorists, mechanics and distributors – creating multi-language versions in step with the client’s expansion programme. Our involvement extended beyond the digital arena, to encompass product packaging and branding design. The result of months of planning, working closely with both the editorial and commercial teams, the all-new Express website represents an exciting step forward for the national newspaper's online presence. 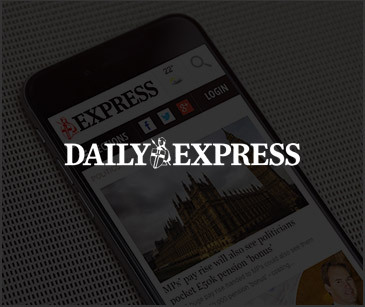 The adoption of the new Express identity signifying a new freedom for the website to stand on its own as a brand – whilst still maintaining strong links to the print titles and the values held dear by their loyal readership. Netro42's design team started completely afresh with the front end, creating a clean and crisp layout, presenting punchy headlines and striking imagery to best effect, whilst ensuring an intuitive user journey throughout. America’s love for the motorcycle began over a century ago when George Hendee and Carl Oscar Hedstrom unveiled their first creation – the 1901 Single – choosing the Indian brand name to represent “a wholly American product in the pioneering tradition”. 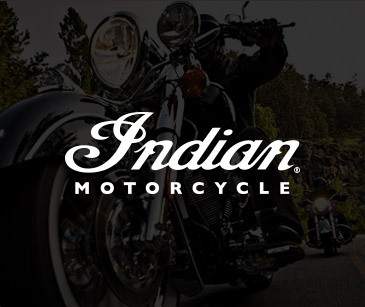 Following a change of ownership and a break in production, we worked closely with the new management team, creating a comprehensive corporate identity programme to support the launch of the all-new Indian Chief. The goal was to define the brand's DNA and outline its implementation – from the exquisite detailing of the Indian Chief motorcycle itself, right through to the design and branding of the flagship store. A set of brand guidelines was developed to assist staff and suppliers in the rollout of the Indian brand across a rapidly expanding dealer network. 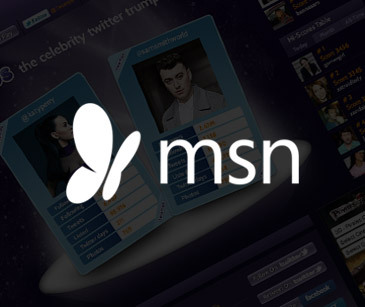 MSN asked us to create an online game based on the popular trumps format, promoting the release, and highlighting key features, of its latest browser software. Celebrity Twumps harnesses the easy accessibility of trumps, combining it with the power of celebrity and the might of Twitter to deliver an incredibly addictive game. Stats are updated dynamically from official celebrity Twitter accounts, comparing tweets, retweets, followers and favourites – pitting the likes of Lady Gaga against Beyonce and Justin Bieber against One Direction. Fans were encouraged to post their best scores on the high score table and then share them via Facebook and Twitter. Chris-Craft is a truly American story. While Henry Ford was creating the first motorcars, Chris Smith, was developing the very first engine-propelled boats. 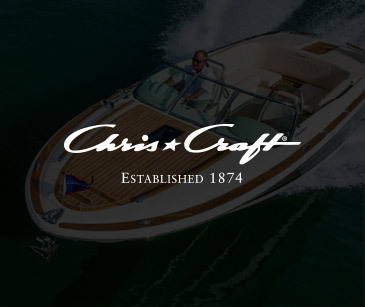 The brief was a simple one: to help reposition Chris-Craft as a premium quality boatbuilder, recapturing the brand's quintessential style and reputation for exquisite craftsmanship and technical excellence. Ongoing work has focused on the creation of brand identity guidelines for product manuals, brochures, exhibitions, dealer branding, press advertising and websites. 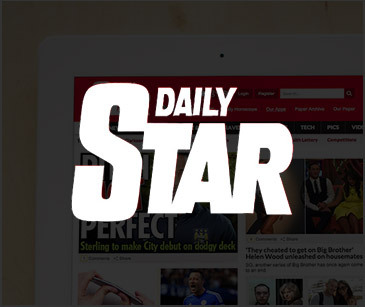 We created a bold and vibrant design for the all-new Daily Star website. Optimised for tablets and smartphones, the popular tabloid’s online presence engaged with its users like never before – resulting in a significant increase in traffic. Online Editor Geoff Marsh put it down to a joint effort: "Netro42 designed a slick website with key functionality that enables users to fully engage with the extra content being uploaded by our editorial team." We are delighted with the new website. The confident, impactful design is perfectly in tune with the newspaper's brand values and is clearly resonating with its readers. Established in 1995, and one of the first digital agencies in London, Netro42’s continued success is built on long-term relationships, helping our clients achieve their digital ambitions within budget, without compromising on style or functionality. Services, with a strong design focus, include everything from branding to hosting, with bespoke front end and back end development. Our no-nonsense approach is to partner directly so that together we can deliver your online strategy to maximum effect. We delight in finding creative solutions to complex challenges so if you think you might like to put us to the test – get in touch. Fancy a change? If you’re a talented individual looking to join an agency where your contribution really matters, get in touch. We’re always on the lookout for professionals who care about what they do and want to show the world what they have to offer. If you’re inspired by one of the openings below, drop us a line. Nothing for you there but still have something amazing to contribute? Then tell us why we have to hire you. We are looking for a talented mid-weight digital designer to join our London-based creative team. Our ideal applicant will have a natural flair and passion for design with a proven track record of translating client briefs into excellent and relevant work. A clear understanding of UX and designing for interactivity across all platforms is essential. A great communicator, you will thrive in a team environment, but equally have the experience to take direction on a brief and run with it, adding your own slant to produce beautiful designs for our clients’ brands across the entertainment, technology, automotive, FMCG and publishing sectors. You should be aware of emergent technologies and the latest trends in design, UX and communications. If you have between 3-4+ years’ agency experience doing amazing work and have a solid portfolio to back that up, we want to hear from you. Studio Assistant required to join our digital creative agency in London. Your role will support production, marketing, sales and HR. Your main duties will include covering our front of house, helping to ensure the smooth running of the studio. This is a very important role that involves general admin, HR and operational support. The ideal candidate would be a confident, sociable, enthusiastic and intelligent individual with a good sense of humour. You will be highly organised with an excellent telephone manner and take pride in your personal presentation. An interest or experience in the creative and media industry will be a definite advantage. This is a great opportunity for an entry-level candidate who is looking for an opportunity to gain office-based experience and work as part of a small, friendly team. You will need to have strong interpersonal and communication skills and not be afraid to get stuck in and play an important role in a variety of tasks. The information contained in this website is intended for general information purposes only. Netro42 Ltd (Netro42) has made all reasonable efforts to ensure that the information on this website is accurate at the time of inclusion, however there may be inaccuracies and occasional errors for which Netro42 apologises. Netro42 makes no representations or warranties about the information provided through this website, including any hypertext links to any website or other items used either directly or indirectly from this website. Netro42 accepts no liability for any inaccuracies or omissions in this website and any decisions based on information contained in Netro42 's websites are the sole responsibility of the visitor. The information and images contained within this website are © Copyright Netro42. We permit you to make copies of this website as necessary incidental acts during your viewing of it; and you may take a print for your personal use of so much of the site as is reasonable for private purposes. You may not frame this site nor link to a page other than the home page without our express permission in writing. Netro42 reserves the right at any time and without notice to enhance, modify, alter, suspend or permanently discontinue all or any part of this website and to restrict or prohibit access to it. You hereby agree to indemnify Netro42 against any costs, claims, losses and damages (including legal fees) incurred by or awarded against Netro42 as a result of your misuse of this website or your breach of these terms. If you are in breach of these terms Netro42 may as its option, suspend or block your access to this website and refuse to provide you with any further access to it. This website is provided to you free of charge, and neither Netro42 nor any of its subsidiary or affiliated companies accept any liability to you (except in the case of personal injury or death caused by its negligence or for fraud or as required by law) whether in contract, tort (including negligence) or otherwise, arising out of it in connection with this website. Netro42 accepts no liability for any direct, special, indirect or consequential damages, or any other damages of whatsoever kind resulting from whatever cause through the use of any information obtained either directly or indirectly from this website. Your sole remedy is to discontinue using this website. These terms may be amended by Netro42 from time to time. Netro42 respects the privacy of visitors and users of this website, and will only collect personally identifiable data, such as your name or email address, when it is voluntarily submitted to us at this website. We are responsible for the collecting and processing of your personal data in relation to our activities. The purpose of this Notice is to tell you which personal data we collect and process about you and why, who we share your data with and why, how long we keep it and how you can exercise your rights. 1. Which personal data do we collect and use? 2. Why do we use your data and what for? to send you communications for direct marketing purposes (e.g. emails, newsletters, SMS, telephone calls) unless you tell us you want to opt out of receiving any further communications by contacting us using the details set out below or by unsubscribing. Where we transfer your data to a country outside the European Economic Area (EEA), where the European Commission has recognised that non-EEA country as providing an adequate level of data protection, your personal data will be transferred on this basis without your specific authorisation. For transfers to non-EEA countries whose level of protection has not been recognised as adequate by the European Commission, we will either rely on an exemption from a rule or law that is applicable to the specific situation (e.g. if the transfer is necessary to perform our contract with you). Your personal data is retained by us in digital format for as long as we need to comply with our legal and regulatory obligations and for the defence of complaints and claims against us. This includes being able to provide evidence in the case of any legal or regulatory investigations, disputes or claims regarding the provision of our products or services to you. In the case of personal information contained in paper format, the document will be recorded in digital format and retained on our systems; the paper format will then be securely destroyed. to access: you can obtain information relating to the processing of your personal data and a copy of the personal data held. to data portability: where legally applicable, you have the right to have the personal data you have provided to us be returned to you or, where technically possible, transferred to a third party. If you wish to exercise the rights listed above, please contact us using the details outlined below. Cookies are small text files stored on your computer when you visit some websites. To use our website properly, you need to have cookies enabled. Cookies allow certain information from your web browser to be collected by us, which we use to track visitor use. They do not identify who is using the computer, just the computer being used. Cookies and other similar technology make it easier for you to use our website on future visits. Browsers can be used to restrict, block or delete cookies. Each browser is different, so check the 'Help' menu of your particular browser (or your mobile telephone handset manual) to learn how to change your cookie preferences. Please be aware that if you block all cookies, this website (and many others you visit) will cease to work for you. For websites used by individual customers, there may be the opportunity to 'share' content with friends through social networks - such as Facebook and Twitter. You may be sent cookies from these websites. We don't control the setting of these cookies, so we suggest you check the third party websites for more information about their cookies and how to manage them. This type of cookie allows our web servers to respond to your actions on the website, such as moving through online forms or browsing the website. The website wouldn't work for you without it. These cookies enable the function of Google Analytics or other analytics software. This software helps us take and analyse collective visitor information such as browser usage, new visitor numbers and response to marketing activity. That information is not held at individual customer level and helps us to improve the website and your experience, and to ensure our marketing campaigns are relevant. These cookies are set by third party companies which refer you to our website or advertise our products. We don't control the setting of these cookies. These cookies help us recognise you when you return to our website. For example, your language preferences. Cookies and other connection and tracking data stored on your device are kept for a period of 12 months from their collection date. We will investigate the issue and then get in touch with you promptly to resolve it. We undertake to respond within 3 working days but usually acknowledge receipt within hours. — or alternatively telephone 020 7267 7002 during office hours. We will investigate the issue promptly and, where possible, keep you informed throughout the process. Our terms and conditions can be found at this link. Nominet's Terms and Conditions are to be found at the link. You agree to abide by the Registrar’s Terms and Conditions. You will be charged a £50 per annum charge over and above the Registrar’s annual fee for management and hosting of the domain name. We will respond within 2 working days to requests from you to move your domain to a new supplier, provided your account is not in arrears, at no additional cost. We will automatically renew your domain name unless you tell us not to. We will then invoice you for the cost. If you do not wish to renew your domain, you must notify us 10 days before the domain is due to expire to avoid renewal costs. We will make changes to your DNS or to your Name Servers, upon request, at no additional cost. You must notify us of any change to your contact details.